When Kevin accidentally videotapes two creatures in the bushes, the Porters investigate and befriend Christa and Stink. When Shrug loses his crystal, it winds up in Annie's clutches and its dark side is unleashed. 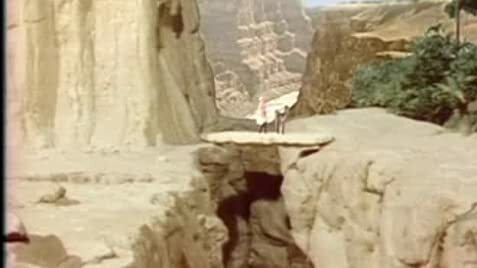 As three moons move closer together, the animals become possessed with the urge to jump off a certain cliff. Adventures in the Jurassic age. Kevin Porter: Dad, you've got him trapped in there! Tom Porter: He's blind, probably only temporary, he took a good one to the head from Scarface. Kevin Porter: Hey, let's seal him up so he'll never come out! Tom Porter: No... we can't. Tom Porter: I know how you feel. I have no love for Shung, either. But if we do that we're no better than he is. Kevin Porter: I can't believe this! My own dad whimping out? Ok first of all, their mother died before they left for vacation(before they visited the "lost world"). Secondly, it was cancer that killed her not a T-Rex; therefore, they were not trying to get back to their mother. 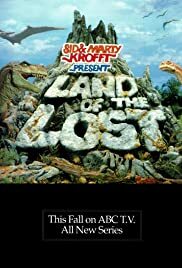 "Living in the Land of the Lost" or just "Land of the Lost" was a brilliant show that had limitless possibilities. This show had a chance to become one of the longest running series on television but it was denied the opportunity!